Our new SDK platform Cortex, gives you the tools you need to manage and scale your applications and projects. Cortex is our API powerhouse for creating BCI applications and integrating data streams from our headsets with third party software. Built on JSON and WebSockets, Cortex makes it easy to create games and apps, or record data for experiments. Cortex is a wrapper around our Software Development Kit (SDK) and houses all the tools required to develop with EMOTIV. It provides API access to different EMOTIV data streams, tiered out across three license levels. Join our worldwide community of developers and start creating your own application now. Our BASIC license gives you non-commercial access to our core suite of data streams for brain computer interface. Download now and get started creating the next generation of experiences using real time brain data. 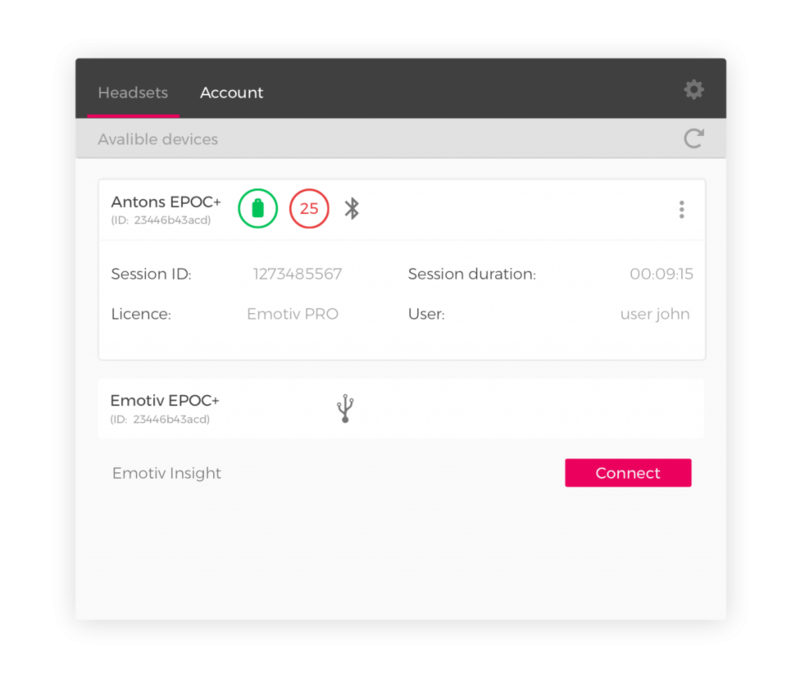 You can add raw EEG API access to your Non-Commercial PRO License for no extra charge. Just purchase a Non-Commercial PRO License and then apply here to add raw EEG API access. Your API access will have the same number of seats and expiry date as your PRO License. The PRO License also gives you access to our EmotivPRO application. Create truly personalized experiences and activations, integrate brain data into an existing application or service, or develop and commercialize your own BCI application. Using an Emotiv Insight, a Sphero BB-8 Droid and IoT services on Bluemix, Joshua Carr demonstrates how you can use your mind to move BB-8 Droids. DJ Fresh collaborates with three physically disabled musicians to create a musical track with just the power of thoughts. An Attention Powered Car was created to raise the issue of driver inattention and road safety. The car features an EPOC headset that connects brain activity to the car’s engine via customized software. When the driver’s level of attention drops, the car safely slows down, alerting the driver to their lapse in concentration. If you are a company looking for innovative ways to incorporate EEG into your workplace, products or services, we provide flexible and scalable collaboration opportunities.